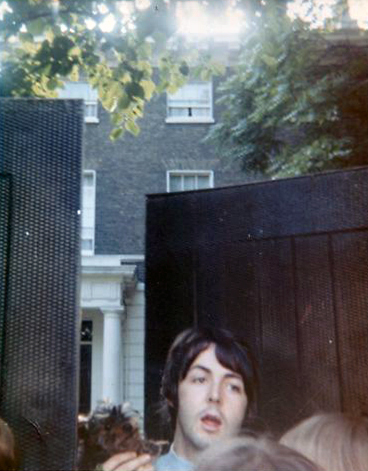 Fan photo of Paul with his dog Eddie, at the gates of his house in St. John's Wood, 1968. Most fans will know that Paul McCartney used to have an Old English Sheepdog called Martha, mostly thanks to the fact that the dog is in lots of well known photos, and she has her own song, "Martha My Dear" on the Beatles' "White album". 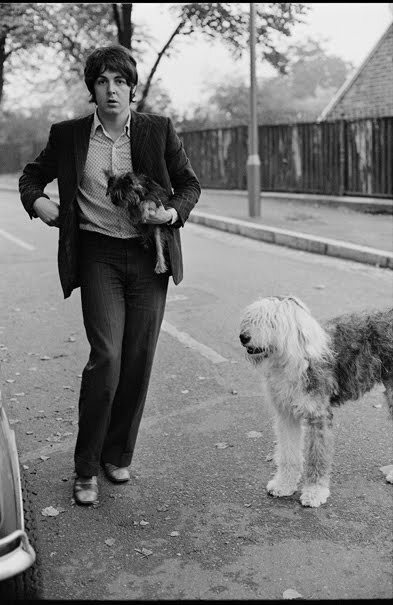 Less well known is Paul's other dog from the same time, a Yorkshire terrier called Eddie! So here are a few photos of him. These are from Paul's dad's house in Wirral. Is it Eddie? Looks a bit big. 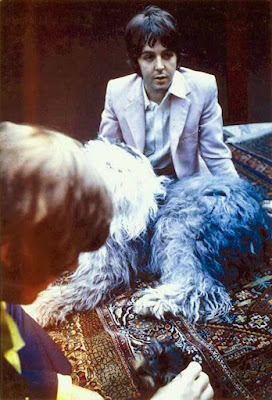 Mad day out, the final photos inside Paul's dome in the garden, Paul with Martha, while Ringo is petting Eddie. After having released "Martha My Dear" Paul may have felt sorry for Eddie, who didn't have a song of his own. 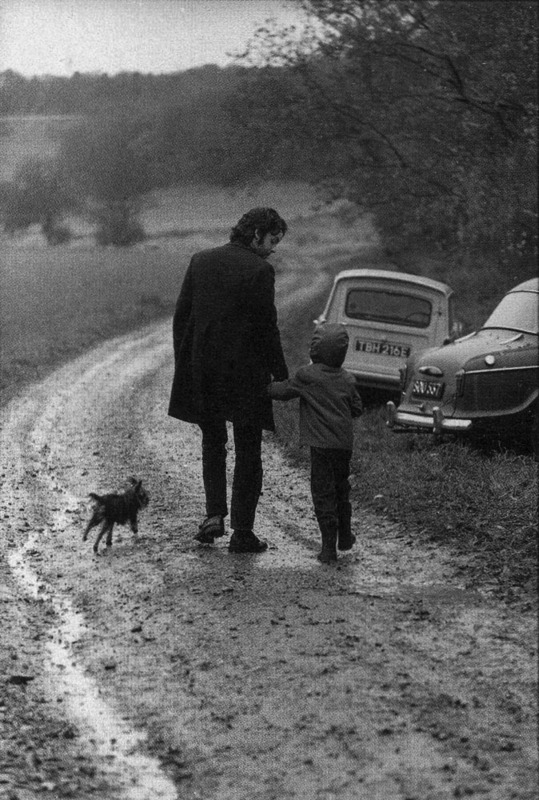 To rectify this he composed "There You Are, Eddie," possibly in December 1968, while visiting Hunter Davies in Portugal. 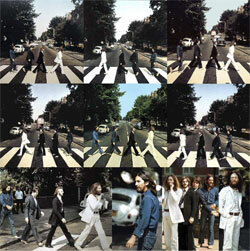 Never released, the song was performed three times by Paul during the "Get Back"-sessions on January 24th, 1969. You'll find the most complete version of this impromptu rendition several places over at YouTube, for instance here. 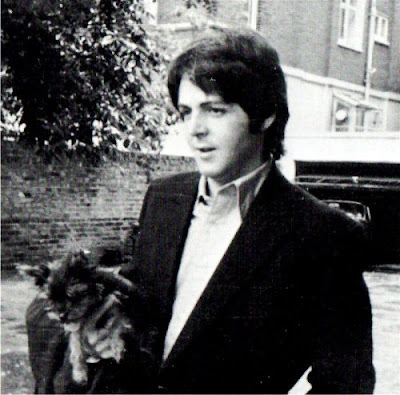 On this version, John joins in and encourages Paul to sing the song for other Beatles pets, so it turns into "There you are, Tiger", for Ringo's dog and ends up with "There you are, Mimi", referring to John's cat. Seems most photos of Eddie were taken by fans. 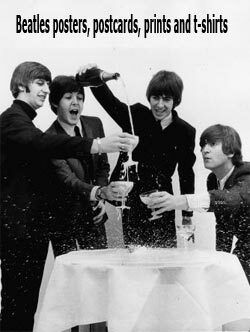 Hunter Davies, who wrote the official Beatles biography in 1968 believed that the song was about himself. Paul, Linda og Heather spent some time at Hunter Davies' holiday home on the coast of Algarve in Portugal in December 1968, and his account is: "I remember one tune he played for me in Portugal, which he had written on the lavatory (he rarely went there without his guitar), which was called There You Go Eddie. Just a short verse, and I don't think he ever completed it. 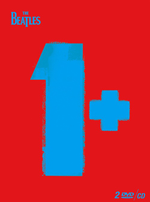 He had discovered that my first Christian name is Edward, something I've always kept quiet.". 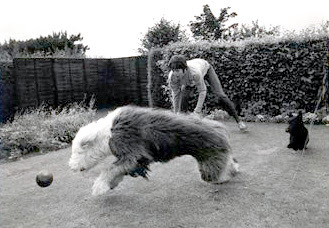 Despite Davies' beliefs, the song is very likely about Paul's dog, which should be evidenced by the line about barking, and the fact that John and Paul started talking about other Beatle pets during the 1969 rendition. John named his cat Mimi? Wow. What about Bernard and Nigel that John suggests in the song as well? The melody of "There you are Eddie" is very similar to the song, "There's a hole in my Bucket". 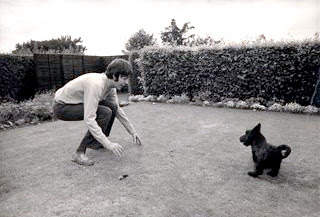 Yes, the black dog is a Highland terrier (a Scottie)- probably Jim's dog? Nice dog Nigel, was one of John's poems. 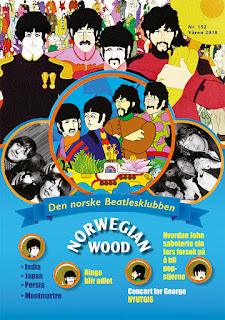 I think it was based on John's pal Nigel Whalley from the Quarrymen days.